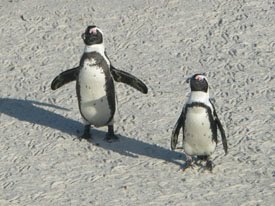 GOING ON ADVENTURES: Penguins--In Africa? Only four in 1982! Wow, what a comeback. That's great. Thanks for writing about this. I had heard about the place where the two oceans come together but have never seen it. 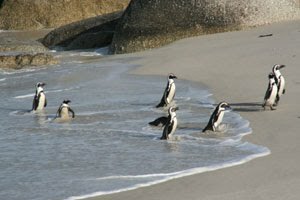 How fortunate you are to have traveled to South Africa! 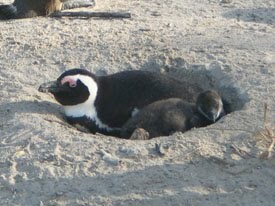 It was great to see them wandering around Robben Island, as well!